Engineer Wofai Ofem, a Lecturer in the Department of Civil Engineering in Cross River University of Technology (CRUTECH) has advocated death penalty as punishment for cultists, kidnappers and armed robbers. He made this advocacy on ASUU CRUTECH Platform, a WhatsApp group yesterday, following last Friday’s killing of a young man in the premises of the university. The young man’s death is allegedly cult-related. Engineer Wofai said: “Until we apply a death sentence on cultism, kidnapping and armed robbery, this rubbish will continue. If it becomes law, they will have a choice and naturally, no one chooses death over life. When cultists and the likes are sentenced to death rather than life imprisonment, parents will do more and our kids will also be more careful.” He disclosed that he had lost two of his cousins to cult-related wars but did not “waste” any tear for them. According to him, “death penalty would be enough discouragement… when the indices show a reduced rate of cultism, then we can relax the laws.” He also advocated that orientation exercises for newly admitted undergraduates should teach proper ethical principles that should warn such students about the perils of cultism. “A young man in his late 20’s has been shot in cold blood behind the school’s Visual Arts department. Witnesses who claimed to know him identified him as “Asuquo” who graduated from the University of Calabar a few years back. This sad event took place in the early hours of the night, precisely between 7:00pm and 7:30pm yesterday, the 20th of October, 2017. He was shot in the back and tried to run for help when his strength failed due to much loss of blood putting him down just in front of the Visual Arts department. The attack was planned and executed. The deceased had unsettled scores with those who shot him dead. At the time of the attack, he was in company of a female who is currently in Police custody. Students from the three hostels of the school rushed to the scene to get a glimpse of what had just happened. 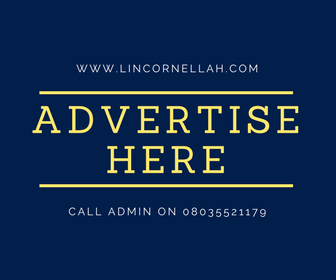 Meanwhile, Colonel Moses Effiong (retired), Chief Security Officer of CRUTECH, granted an interview to LinCornellah’s blog on that incident, today. Watch out tomorrow, for what he disclosed.